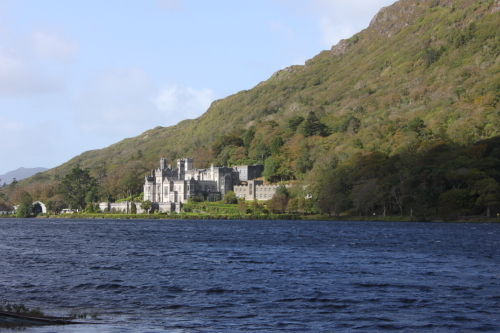 Kylemore Castle (now know as Kylemore Abbey) in Connemara owes its existence to Mitchell Henry scion of a wealthy Mancunian family. Mitchell fell in love with Connemara when he and his wife Margaret honeymooned there in 1849. When he inherited the family fortune he returned to the West of Ireland and purchased, as a romantic gift for Margaret, 15,000 acres in an idyllic situation beside two lakes and overlooked by a multitude of magnificent mountains. There he built a gothic fairy tale like castle made of granite and limestone; the castle was completed in 1867. 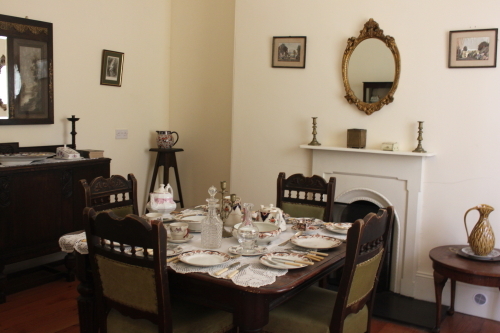 It was a family home and the Mitchells spent much time there and entertained guests from far and near. The Mitchells had by all accounts a happy marriage which produce nine children, sadly Margaret died in 1874, from dysentery, when the couple were holidaying in Egypt with six of their children. The grief-stricken Mitchell brought her body back to Kylemore for burial and in her memory he built a miniature neo gothic cathedral. Mitchell who never remarried died almost penniless in England in 1910, the house had been sold by that time but his ashes were brought back to Kylemore for burial beside his beloved Margaret. In the 1920’s a Community of Benedictine nuns bought the estate; they ran an international boarding school there until 2010. 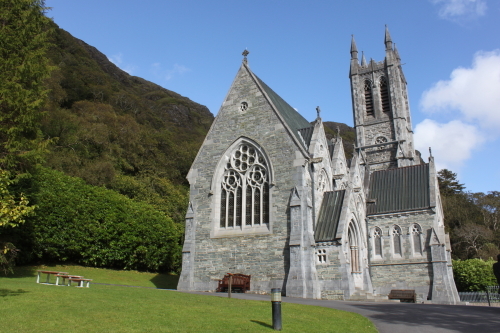 The Benedictine community still own and live at Kylemore where they make soap and jams which are sold in the gift shop but a private company operates the touristy part of the estate. When I was staying in Connemara last month I visited Kylemore. There is much to see: peaceful scenic walks, five rooms in the Abbey are open to the public and of course the peaceful tiny church. 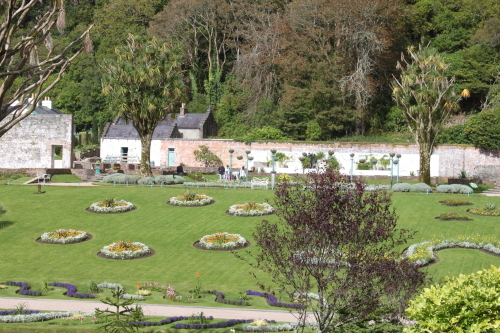 However the highlight of my visit was walking around the amazing six acre walled Victorian garden In its heyday the garden had twenty-one enclosed glass house, two of which have now been restored as has the head gardener’s house and a bothy (cottage) that would have been home to up to six of the under gardeners. 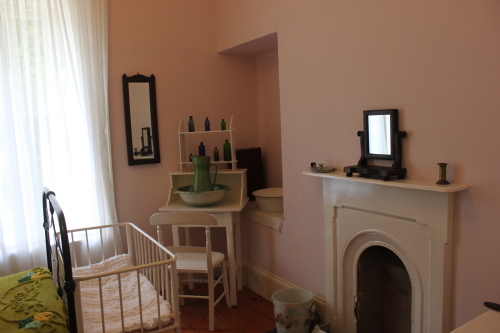 The head gardener’s house and the bothy are furnished and give a fascinating glimpse into the past. The garden has herbaceous borders, shrub borders, a formal flower garden, a herb garden, a kitchen garden and a lot more besides. 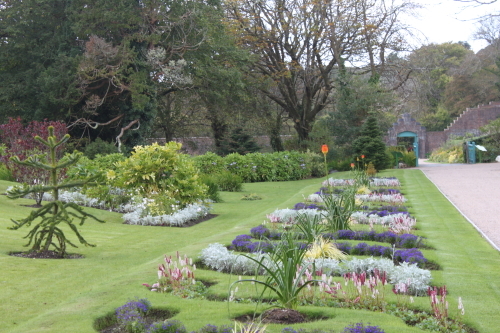 The cost of admission to the grounds, gardens and Abbey is €12. There is a gift shop, café and tea room; I felt that these needed tweaking but on the whole my experience of Kylemore was excellent. Yes I agree – the house itself though beautiful lacked that lived in feel. It does look like an astonishing property. Beautifully built and furnished and tended–too bad that such care and commitment couldn’t save them from early death or reversals of fortune. Quite the Romantic tale altogether. At least it’s wonderful that the Benedictines have managed to restore and support it so that what was so lovely can be shared with others. Hopefully the visitors can occasionally boost the lived-in feel . . . I wonder what became of the family line after all of that. I did wonder about the family line; I found a family tree on the net which shows that descendants of Mitchell and Henry are alive and living in different parts of the world. We didn’t have time to venture into the house but stopped nearby for a few minutes to take some pics. Lovely to now know the story behind the building – thank you! Thanks for your comment. I am glad you were pleased to hear the history of the house. The gardens at Kylemore are stunning and were the highlight of my visit to the Abbey.